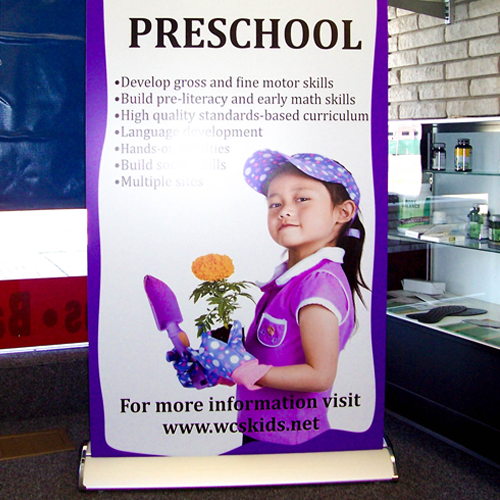 Custom banners are one of the most affordable advertising or promotion solutions available. Custom banners are ideal for special sales or events, temporary advertising, trade shows, conventions, festivals and more! 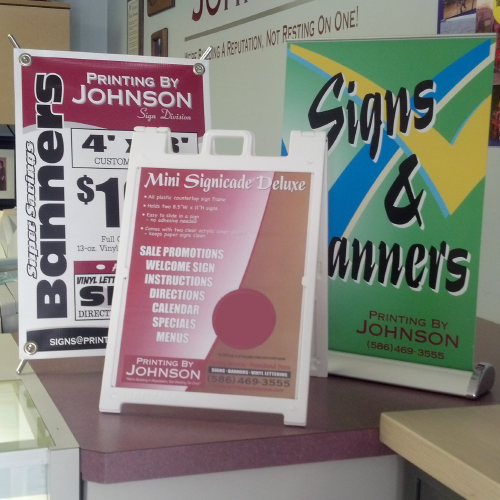 Retractable banners are a convenient, portable way to take your message “on the road” with you. Perfect for tradeshows, presentations, conventions, and out-of-town events compact retractable banners can be stored in your vehicle – or your luggage – wherever you need to go! We also carry a wide variety of stands and brackets for banner display once you reach your destination.